The decision to transfer from club to high school hockey is one every young player must face once they come of age. 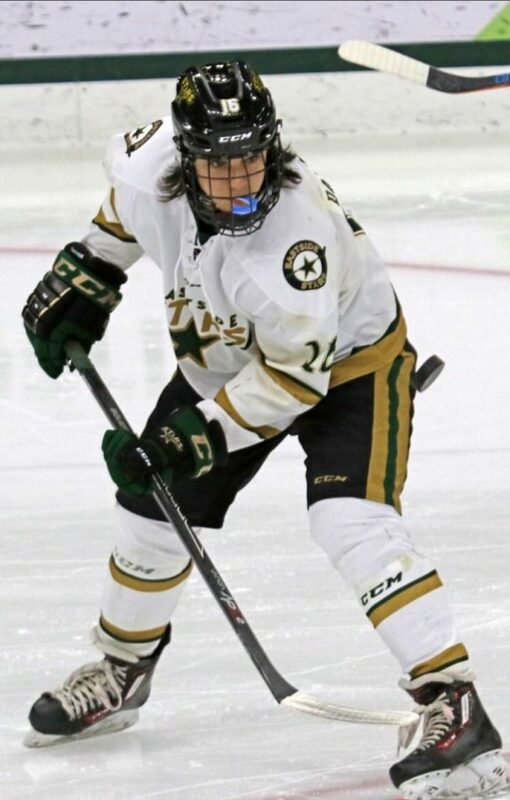 Junior JC Daigneault made the commitment this summer to transfer from his Meijer AAA under 16 club team, to represent his school suiting up for the Eastside Stars. “The biggest difference between club and high school (hockey) is the players, because it’s a lot more fun playing with friends that you get to see every day, versus a team that you don’t see that often,” Daigneault said. Daigneault is a starting defender for the Stars this year and he does not regret his decision to transfer. “My favorite part about high school hockey would have to be the team, because it feels like my second family,” Daigneault said. The Stars are currently 7-7-1, but only have one loss inside their conference as they approach playoffs. The Stars are a co-op high school team, meaning they unite players from Haslett, Williamston and East Lansing high schools under one uniform. Daigneault is enjoying the season and wants to graduate on the team.